Winter may not have officially started, but for those of us in Colorado, we’re already experiencing snowy days and cold temperatures. 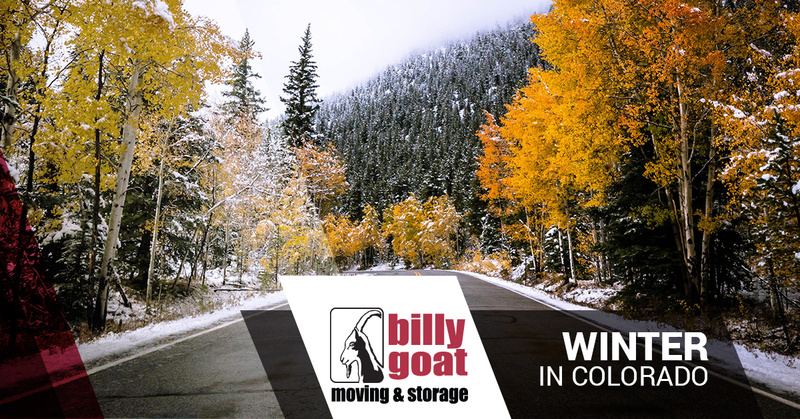 At Billy Goat Moving & Storage in Fort Collins, we know that moving during the winter isn’t the most fun, but with our team’s help, you can get your things moved and start settling in quickly and safely. Once you’ve moved, you can start enjoying those winter activities you’ve been looking forward to! 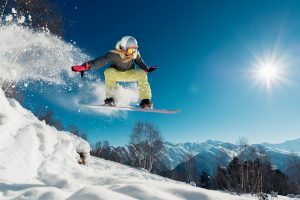 Colorado is known around the world for its ski resorts, and people flock to the Rockies during the winter to ski, snowboard, and enjoy the snowy landscape. If you’ve been thinking about moving closer to the mountains, then we can help you get there. We serve the entire state, so if you’re out on the plains in Sterling or Limon, then we can move your belongings to your new home in Boulder or Golden. Instead of driving hours to get to the slopes on the weekend, you can hop in the car on a weekday and hit your favorite runs over and over again! If you’re not a skier or snowboarder, but you still want to have some snowy fun during the winter months, then why not visit a snow or ice sculpting event? Berthoud hosts SNOWFEST every December, and it is the sanctioned Colorado Snow Sculpting Championship. If you want to see snow sculptors from around the world, then head up to Breckenridge in January for the International Snow Sculpting Championships. You can see countless artists at work, and you can tell everyone that you saw the award-winning snow sculpture! The Iditarod may be known as “The Last Great Race®,” but you don’t have to go to Alaska to experience dog sledding. Many cities throughout the Rockies, such as Snowmass and Vail, now offer dog sledding adventures. If you’re moving to or visiting the mountains this winter, then take a break from skiing and book yourself on a dog sledding tour. You’ll love exploring the Colorado backcountry, and you’ll likely fall in love with the canines pulling your sled. When you’re ready to get out of the cold and wind, there’s nothing better than sitting down with a stein of stout or porter, a glass of red wine, or a cup of your favorite whiskey or brandy. With so many breweries, distilleries, wineries, and meaderies throughout the state, it won’t be hard to find a delicious winter drink. Many bars and restaurants also offer warm alcoholic drinks during the colder months of the year, so if you’re looking to shake off the chill of winter, then you’ll be able to find a cozy spot to enjoy a drink or two with friends. Winter in Colorado can be cold and snowy, but it can also be a lot of fun. If you’re thinking about moving to a new city during the season, then let Billy Goat help you get there. As your moving company, we’ll make sure that your belongings arrive safe and sound, and that your move is a stress-free experience. Contact us in Fort Collins today!